A new revision gives this nozzle new life. This is a great tool for all purposes, general cleaning, stoppages (grease & roots). The 6 rear 30-degree (8-jets for 1" body) provide thrust and pipe wall scouring force to propel this nozzle up the line. The rear magic is the rotating front jet. At about 1,000 #'s the insert begins to rotate and break up anything in its path. While producing a vicious force going forward it also maintains the ability to not damage the sewer line (any material). A video does not convey the force that this nozzle produces going forward. The rotating front tip is rebuildable when needed. 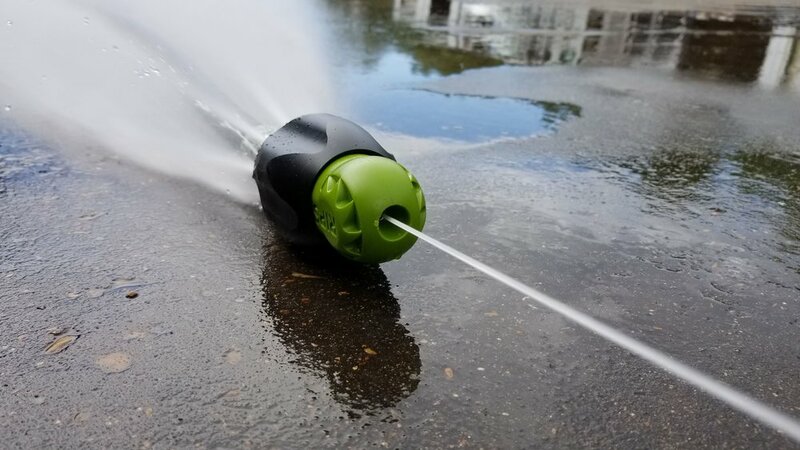 This nozzle works best with flows from 25 up to 80 GPM and pipes from 6" to 12". What is the Root Dawg? 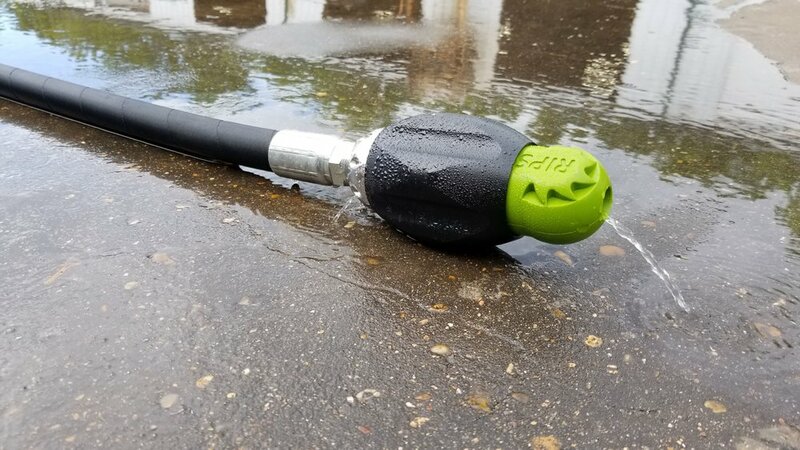 The Root Dawg nozzle is a few components assembled to give operators a fantastic tool for blockages and buildup. It is 100% repairable by end users and required no special tooling. We combined some solid ideas and good ole' American machining to bring this one together. Can this replace my Warthog nozzle? Yes it can. This nozzle is a simpler approach to a controlled rotation cleaning tool. No stems to bend, no viscous fluid or lip seals to maintain. 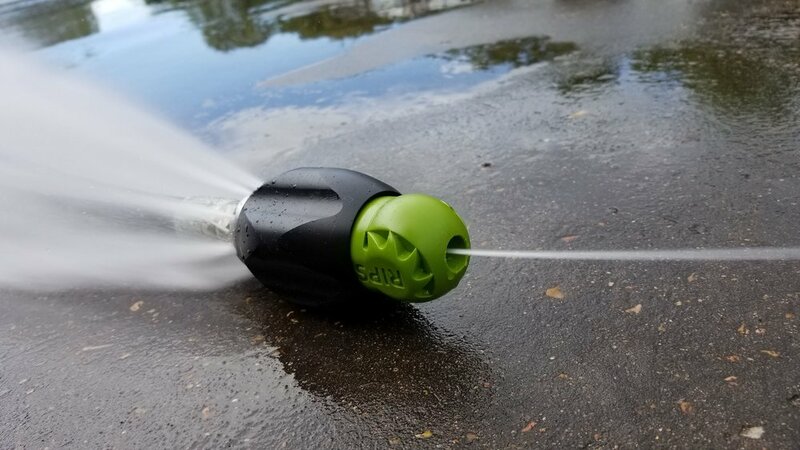 It is a dead simple nozzle with a really effective front cleaning jet. Can this clean resolve root and grease issues? Absolutely. This kind of work is exactly what we had in mind when we dreamed it up. The front rotating jet is where all the magic happens. We feel that lines larger than 18" wouldn't really see any benefit.